Trying to find a player due for a breakout season is fun, especially if: a) it’s a player from your favorite team and you tell other fans you’ve found a player to watch, or b) you play fantasy baseball and like rubbing it in to your friends that you know way more than they do. Either way, it’s an opportunity to prove how smart you are to strangers and friends. Who doesn’t like that? There are a lot of players who seem to be ready to bust out this year: rookies, second year guys, even players who’ve been around for longer than that. Everyone on this list has the potential to put up big numbers, as well as the potential to massively disappoint. But the odds are good that at least a few of them will take the leap. Brandon Belt, Giants: His breakout likely would’ve happened last year if not for a broken hand followed by a concussion. Belt had 9 home runs in early May and looked like he could easily reach 30 at the rate he was going. 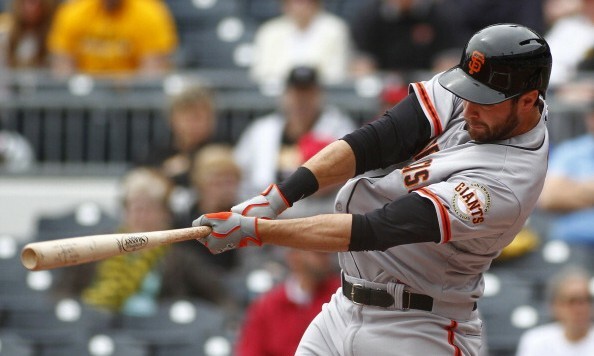 An on base machine, Belt has the potential to hit for both power and average and is also a sneaky stolen base threat. He’ll likely bat third for the Giants and could be due for that monster season everyone has been expecting ever since he tore through the minor leagues in 2010. Zack Wheeler, Mets: Wheeler showed signs of being an ace last year and is poised to take a big leap in 2015. If he can cut down on his walks, he has the potential to be special. He averaged more than a strikeout per inning last year and had games where he looked absolutely unhittable. It’s a shame he won’t get much support from his offense, but he should still post good numbers. Joc Pederson, Dodgers: Pederson’s path to playing time was cleared when the Dodgers unloaded Matt Kemp, and the rookie will get his chance to make people believe the hype. There’s nothing left for him to prove in the minors, and Pederson presents real 20-20 (maybe even 30-30) potential with regular at bats. He’s the most exciting outfield prospect to come around in a while and it’d be no surprise to see him make an impact early. 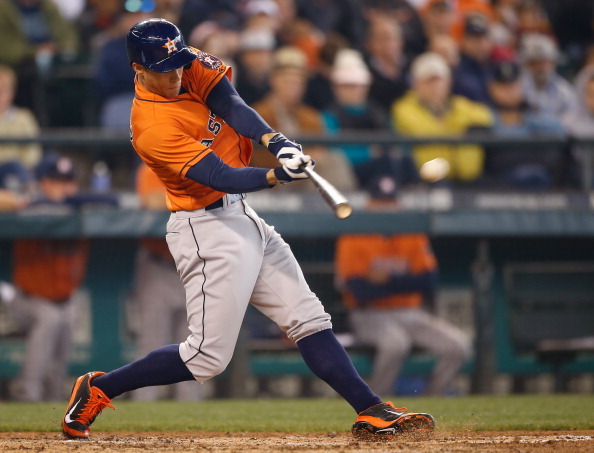 George Springer, Astros: If he ever finds plate discipline, watch out. He may have struck out a ton, but Springer was still very impressive last year and could make a huge leap in 2015 if he can figure out the strike zone. He’s a big, strong guy with 30-plus home run potential who also possesses uncanny athleticism. He could easily lead the league in homers if he figures things out; on the flip side, he might strike out 220 times, too. But a big year awaits. Oswaldo Arcia, Twins: He’s hit 34 home runs in parts of two big league seasons but doesn’t get a lot of press (or any press) for a variety of reasons. The Twins may have bigger prospects in the pipeline, but Arcia has shown he’s ready for an every day role and should finally get the chance in 2015. He has definite 30 homer potential and his minor league numbers suggest his OPS should rise, too. Arcia is the definition of a sleeper. Marcell Ozuna, Marlins: He had an excellent 2014 and should be ready to take a huge leap forward this season. Ozuna basically skipped two levels of minor league ball and went straight to the majors, yet he’s performed so well it’s clear he wasn’t rushed prematurely. With a better lineup around him in Miami, the time seems right for Ozuna to reach the next level. Aaron Sanchez, Blue Jays: Will he start? Will he close? No matter, since Sanchez has the pure stuff to succeed in either role. He was virtually untouchable in 33 innings last year, and if the Blue Jays don’t trade for a proven closer it’s easy to picture Sanchez putting up huge numbers there for an improved Jays team. He should have the same kind of success as a starter, but his innings will likely be limited if he’s in the rotation. Either way, he’s poised to make a lot of noise this season. 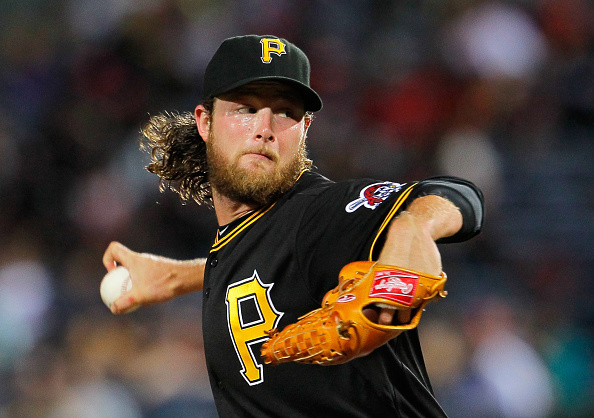 Gerrit Cole, Pirates: You can argue that he’s already broken out, but the potential is there for Cole to be a perennial Cy Young candidate. His third year should be the year he finally puts it all together and dominates for a Pirates team that expects to be in contention. He should get closer to 200 IP this year if he can stay healthy and it’ll be interesting to see how his numbers react. With as much talent as he has, those numbers should be big. This should be the year Cole proves everyone who named him one of the best pitching prospects in baseball right. Xander Bogaerts, Red Sox: He didn’t live up to the hype in his rookie year, but asking any young guy to play shortstop in Boston and put up big numbers is a tall task. Now, removed from the hype and surrounded by a much better lineup, Bogaerts should be able to relax and let his natural ability shine through this year. He’s a shortstop with 20-plus home run potential, something that doesn’t come along every day. While the fans and media focus on all of Boston’s new acquisitions, Bogaerts can go about his business and show that everyone was right about his potential…just a year late. Eric Hosmer, Royals: You’re forgiven if you feel like Hosmer has been around for 10 or so years, considering the immense hype and expectations that were pinned to him before he even debuted. But Hosmer is only 25, coming off a huge second half and postseason and poised to build on that success in 2015. He’s had a nice career up to this point, but nowhere near what many thought he was capable of when he debuted in Kansas City. This should finally be the year that Hosmer establishes himself as the dangerous middle-of-the-order hitter Royals fans have wanted him to be for years. A 25 home run season isn’t out of the question.